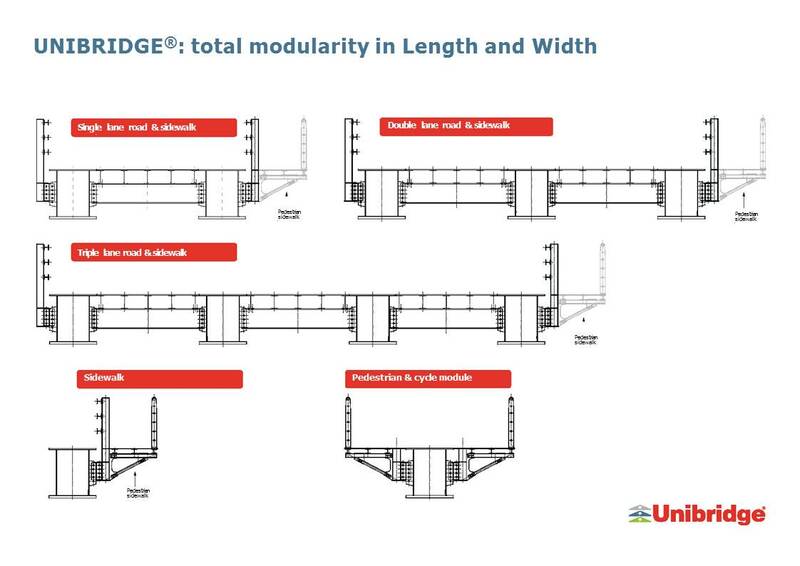 Unibridge® is a pre-designed and prefabricated modular steel bridge system. 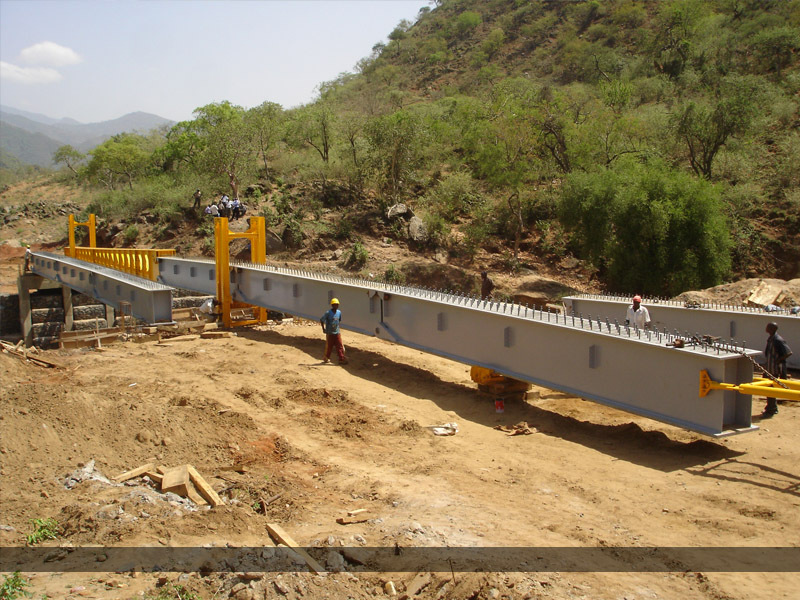 It is a simple, robust and durable structure suitable for use in emergency situations and as a permanent bridge. 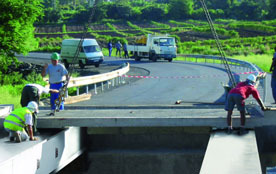 Single lane or multi-lane bridges can be built, either as single spans up to 45m or multi-span bridges >45m. 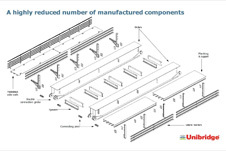 For single spans > 45m the PIMM® - Alphabridge® can be specified. Multi-span bridges can be built to achieve bridge lengths >45.6m. 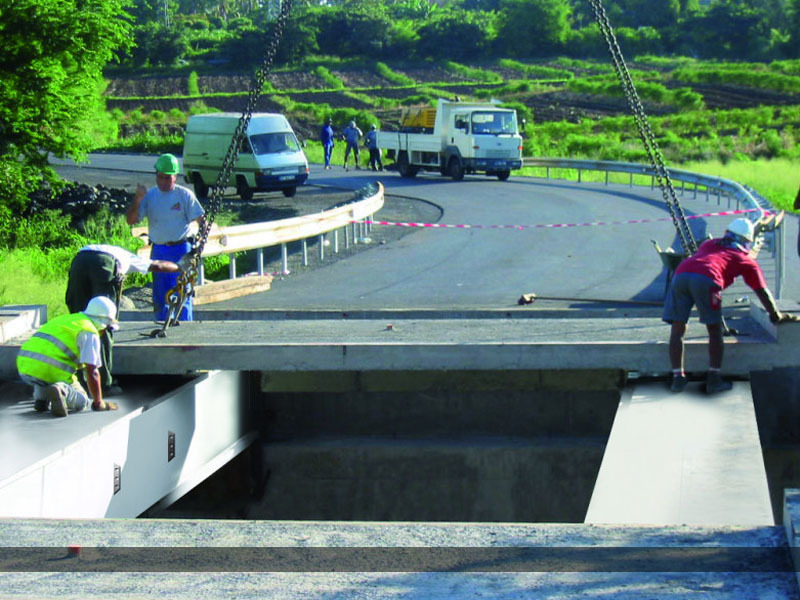 As with single span bridges, Unibridge® multi-span bridges can be cantilever launched from the home bank to the far bank. 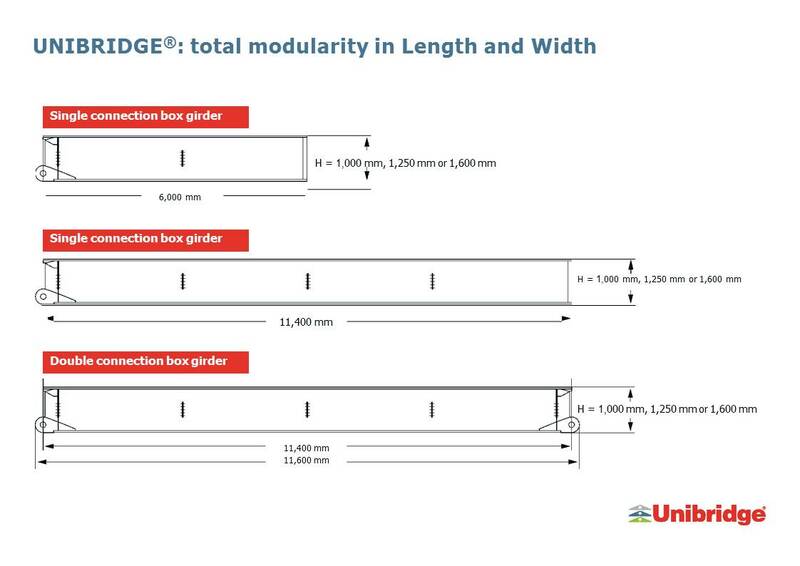 Comprising of a minimum number of different components the Unibridge® can be deployed quickly to site and rapidly erected. 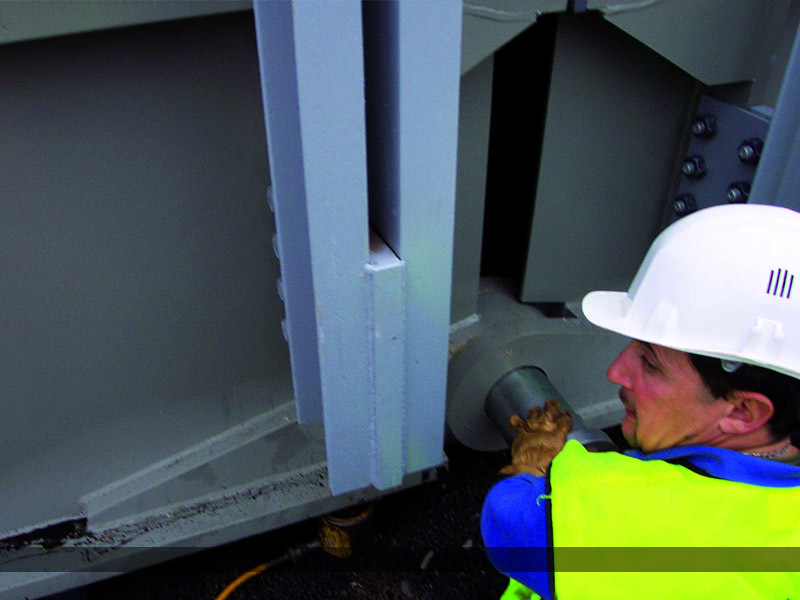 • All bridge connections are made with either pins or bolts and there is no need for any specialist tools such as pneumatic or electric powered tools. All tools are hand operated. There is no on-site welding. • Unibridge® is routinely launched across gaps using a launching nose and equipment without the need for temporary supports. • Unibridge® has been designed to accommodate a range of live loads e.g. AASHTO, Eurocode, Australian Standards, British Standards and all Unibridge® structures are capable of carrying these loads. • The bridge is designed for 100 year design life with a fatigue life of 1,000,000 cycles of the appropriate Eurocode vehicle. 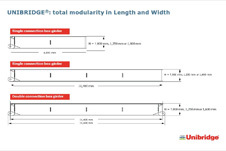 • Unibridge® is capable of accommodating abnormal loads, both oversized and overweight vehicles, and the structural members are underneath the deck level with no chance of vehicle collision or damage. 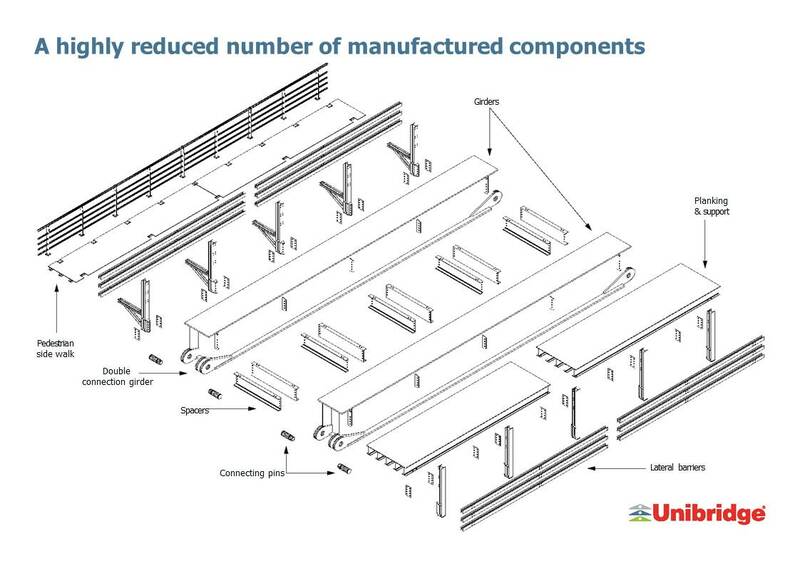 • Unibridge® does not require the addition of reinforcement members depending on the span and load configuration. • The installation of modular steel deck system with anti-skid system or concrete deck in-situ or concrete desk pre-cast. • Footwalks or walkways can be specified. • Parapets are provided which define roadway width. Developed purposely for shorter spans and for remote locations the iBridge® is suitable for maximum spans up to 30m. The iBridge® consists of a series of beams which are bolted together in a similar way to Unibridge® but launched in a single simple operation. Contact us for further details.